SunPower’s in-house experts serve as your champion to help secure and negotiate the best payment or financing solution for your solar and storage projects. As an independent third-party facilitator, we can help you get the most attractive rates with fair contract terms. SunPower has a 100% success rate in commercial financing, with a network of reputable financiers who are ready to fund your project. This is important because not all solar projects find the backing they need. SunPower evaluates your energy and financial goals then recommends the best option to meet your needs—without bias to any financing approach. In contrast, some solar companies prefer their in-house financing because they take an equity stake. SunPower’s team of experts have long-standing relationships with solar investors, which helps facilitate a smoother financing process. Solar financing can be complicated. Less experienced finance teams leave you open to added costs and delays. We’ve helped secure financing for large solar power plants, small family businesses and public projects. In fact, we provide access to Power Purchase Agreements (PPAs) for smaller systems that have historically been challenged to find a financier. In addition, SunPower has deep expertise helping our customers use public financing, like Clean Renewable Energy Bonds (CREBs) and special government programs. Want to find out which financing option is right for your organization? There are four main financial paths to solar, each with its own considerations. Our in-house finance experts will work with you to assess your situation and then build a custom financial package that best meets your needs. A third party pays for installation, and owns, operates, and maintains the system. You make an agreement to purchase energy from that system, locking in lower energy costs for the long term. At the end of the contract, you can purchase the system, negotiate another PPA, or have the system removed. You lease a solar panel system, and lower your electric bill by using the energy it generates. This typically offers immediate utility savings, and leads to increased savings over time as traditional energy costs rise. At the end of the lease you can purchase the system at a reduced cost, renew the lease, or have the system removed. You purchase a solar panel system outright and can begin installation as soon as you’re ready. Cash purchase offers complete access to federal, state, and local solar initiatives where available, which can offset solar project cost significantly. Cash purchase typically offers the maximum return on a solar investment. Public entities have access to a variety of financial benefits not available to other solar users, often enabling the greatest financial returns of all. From tax breaks to government-subsidized bonds, we closely monitor these options and source the most attractive funds to help you get the highest returns from your solar project. 3. "SunPower Module 40-Year Useful Life," SunPower white paper. 2013. Useful life is 99 out of 100 panels operating at more than 70% of rated power. Should I pay cash or finance my organization’s solar system? Solar is supported with tax incentives, so this needs to be factored into the financing decision. If you can take advantage of the tax benefits and have cash to invest in the solar system, then ownership with a cash purchase is most often the best choice since it will likely provide the greatest financial return over the long run. If tax benefits have little value or you prefer to reserve your capital for other things, then there are better alternatives to going solar. A PPA is a financing arrangement that allows businesses, government agencies and educational institutions to purchase solar energy electricity without buying the solar equipment. 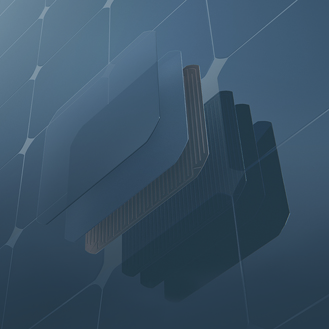 With a PPA, organization pays for the energy produced by a solar system produces, and a third-party installs the solar system on your facilities (or offsite), and owns and operates it. You simply enter into an agreement to purchase the electricity produced by the system at a predetermined rate per kilowatt-hour (kWh) which is typically lower than your current rate from your utility. And if the solar system doesn’t generate electricity (due to an outage) you don’t pay anything – the system owner bears the operating risk. What should I look for in a solar financing partner? Although solar financing is mainstream, it can still be complicated. It’s imperative your solar partner have deep experience in financial modeling and can negotiate financial agreements (PPA or lease) that deliver on expectations for both the off-taker (your organization) and the investor or financier. A partner’s proven track record will provide peace-of-mind that the pricing and terms are reasonable and that a financier will invest in your solar project. Finding a solar partner that understands the technical features of the solar energy system is also a big advantage. What should I watch out for when negotiating solar financing? Watch out for low pricing that seems to be below market-value. You want the best financial terms for your solar projects, but sometimes a solar proposal may seem too good to be true. Unfortunately, when a proposal doesn’t come from SunPower, it is often too good to be true, leading to delayed or failed projects because reputable financiers see the project as too risky. Many solar developers that were active three years, and even one year ago, are no longer in business. Which ownership or financing option should I choose? Cash: When you own your solar project, you have control over the equipment and can provide greater financial ROI in the long run, but you need to account for ongoing operations and maintenance (“O&M”) costs. SunPower provides ongoing O&M services for its systems that can also be supplemented with a long-term Performance Guarantee (“PeGu”). Lease: With a leased solar system, you, and third-party provider, or SunPower takes care of maintenance and repairs, but the lease rentals are payable whether the equipment is optimally producing electricity or not. PPA: Instead of renting the equipment, with a PPA you’re buying electricity. Instead of buying electricity from your utility, you are buying from the PPA financier. The PPA provides a locked-in price that protects you from volatile energy price changes, and if the system doesn’t produce energy, you don’t pay for it. But if the system doesn’t produce the expected output, you must purchase remaining electricity needs from the grid. A high-quality system from a provider like SunPower with a history of strong performance results is important for realizing the projected value of the system, even though the customer only pays for delivered energy.